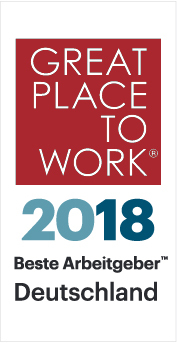 P&G has recently received two awards from Great Place to Work 2018. Find out what this means for the company and our employees. These awards are attributed to the dedication of the great culture our team has built, which begins with our leadership that endeavors to set an example to be proud of and who are committed to honest and fair business practices. These high standards extend to the employees are treated here. P&G is committed to building an open, inclusive, and empowering culture where great work is recognized and rewarded. We’re also concerned about our employees’ personal well-being, and have put many policies in place to support it, including flexible work arrangements, a wealth of health and social benefits, and competitive compensation. As soon as you join P&G, you’re given challenging work with real responsibilities. This means working on challenging, business-critical assignments alongside talented colleagues using advanced technology to build leading brands that make life better. From Day 1, you’ll impact some of the biggest brands in the world, including Pampers, Always, Pantene, Oral-B, Braun, and Gillette. And while you use your skills to invent, improve, and develop global household names, we’ll help you develop into a future leader of our company. Our employees’ development and growth is supported through a culture of trust while where everyone is encouraged to learn from their mistakes. We also foster a highly entrepreneurial culture, which means you’ll take ownership of your projects, have your ideas brought to life, and be able to see the real impact you’re making on the business. This early exposure and responsibility tests and grows their leadership skills and gives them an insight into what being a P&G leader means. Everyone at P&G is committed to making a meaningful difference around the world. Together, we make our consumers’ lives better through our products every day and we make a wider difference through our brands. P&G is also extremely environmentally conscious and takes a sustainable approach to everything we do, from recycling materials to achieving zero waste to landfill at our sites. We’re very proud of these latest awards and look forward to building on this success in the future. Join us, and you, too, will be a part of a Great Place to Work where you’ll do something that matters.